Artreach supports artists to lead groups of children and young people through an engaging and meaningful programme of planned workshops and field trips. Teaching Residencies offer a comprehensive experience of art education, introducing participants to a variety of mediums, methods and techniques, and to a selection of artists and styles. Beyond the teaching of technical skills and insight into art history and aesthetics, artists will encourage participants to use art as a tool for critical exploration of the world, to cultivate their imaginative, creative and reflective skills and to find an individual expressive voice. Since 2017 Artreach has run three successful art education modules at the UNHCR BOSCO centre, Khirkee Village. 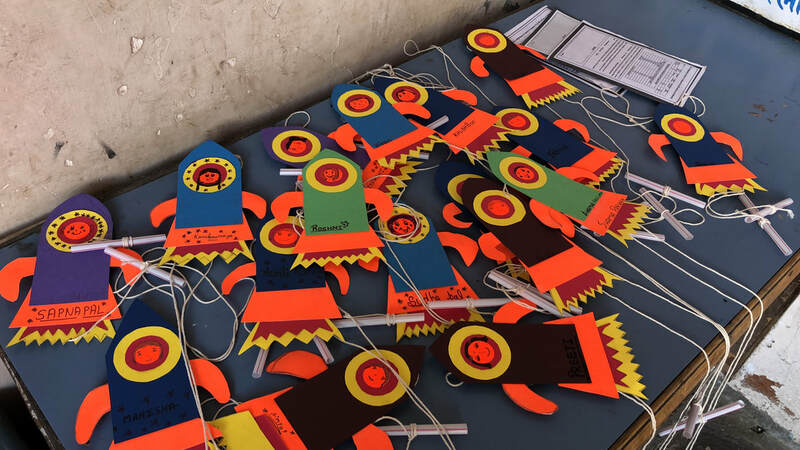 Participants of these workshops are children and young adults of refugee and asylum seeking families, primarily from Afghanistan, within the neighbourhood of Khirkee Village, Delhi. 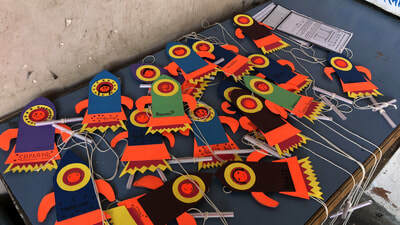 These modules playfully introduce participants to art, with visual games, movement exercises, short animations and a variety of art media such as clay, mask making, collage and basics in drawing and painting. For the young adults, workshops focus on visual explorations of dreams, ambitions, relationships and ideas of 'home' and 'belonging'. 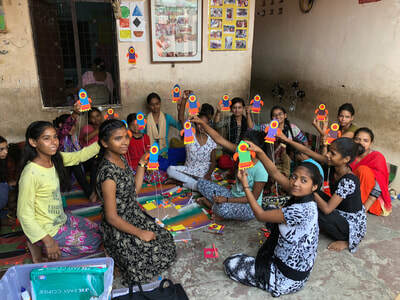 ​ Artreach has collaborated with Vaish Associates Public Welfare Trust to facilitate a Teaching Residency for twenty teenage girls at their Tarang Centres near Jaunapur Village, Delhi. With similar objectives to the Teaching Fellowship this residency will expose participants to a variety of mediums, techniques, art histories and guide them through a path of artistic exploration and self-expression. ​​This new partnership comes on the heel of a series of successful Volunteer Residencies with Tarang's young children in comics and puppet making.